Weather forecasters are predicting freezing weather causing havoc across the UK for a fortnight. 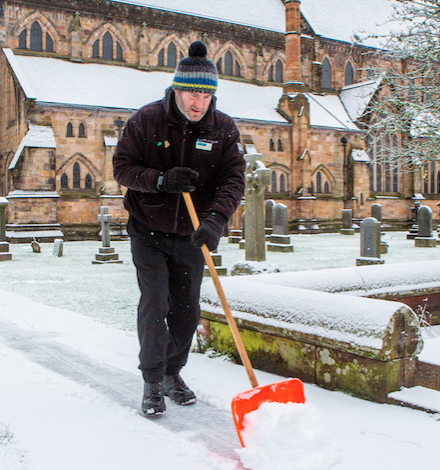 Sub zero temperatures and snow are due to take hold at least until February 7. 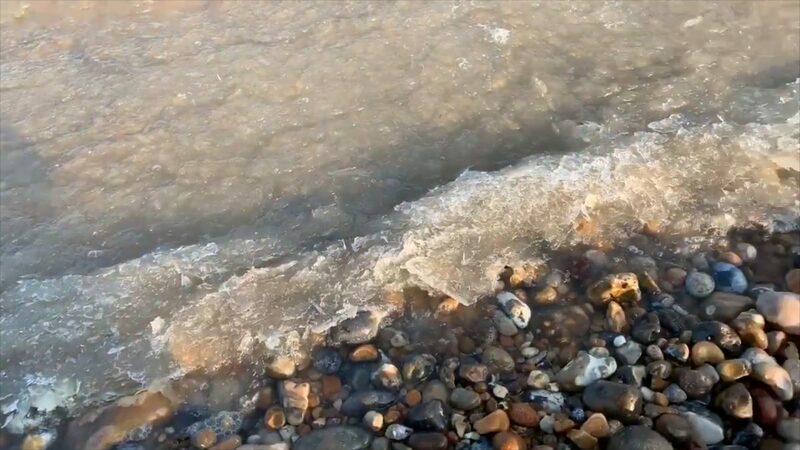 Today incredible footage of the sea freezing into slush on England’s South coast emerged as the cold spell continues. 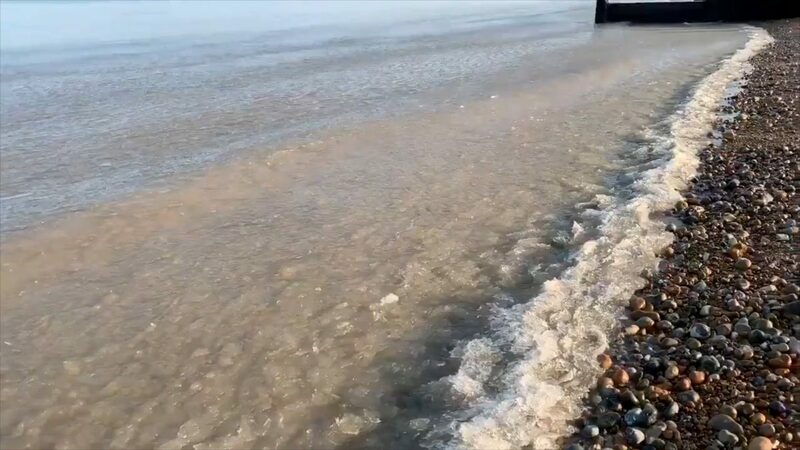 The video shows the ‘surreal’ scene as the sea near Whitstable, Kent, freeze as it lapped onto the beach, forming a slushy ice. Barry Thompson, from Seasalter in Kent, was walking along the beach at about 9am on Monday when he stumbled across the spectacular sight. The 49-year-old, who runs his own company ‘Me Now’, said: “It’s quite a surreal thing to see because everything seems to be moving much slower. “It was a very surreal experience, given the lack of wind and yet extreme cold, especially the sound of the ice cracking all along the beach. 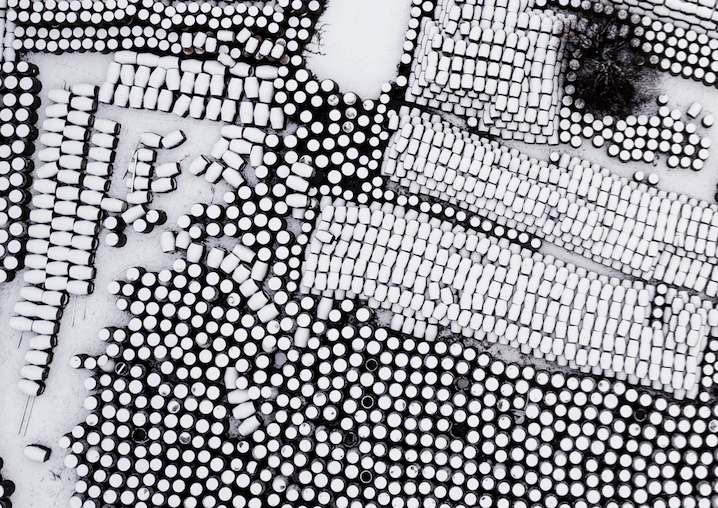 “For the most part it’s quite still – there are no major waves or anything. “We walk the dogs along the beach at Seasalter every morning, and I’ve lived here nine years. As flurries of snow hit much of the UK, weather forecasters warned snow will continue to hit Britain for the next fortnight. Snow will spread tonight with temperatures dropping below zero in many parts of the UK. And the snow will return with a vengeance next week too. By Wednesday January 30, most of Scotland and the north of England could be covered by a blanket of 10cm of snow. Wales and the South of England are set to follow on Thursday January 31, with most of the country covered in white, up to 21cm.